MAAP-011250 4 W Ka-Band Power Amplifier, 27.5 - 30 GHz, designed for VSAT Communications. This device is designed for customers who need a balanced 4-stage, 4 W Ka-Band power amplifier providing 24 dB of linear gain. MAGe-102425-300S00 300 W GaN-on-Silicon Power Transistor, designed for commercial scale solid-state RF Energy applications. MACOM's Family of Low Noise Amplifiers (MAAL-011129, MAAL-011130 and MAAL-011141/DIE) are easy-to-use, broadband devices covering DC-31 GHz and featuring high gain, low noise and flexibility in biasing options. MACOM's MAGx-101214-500L00 is a gold-metalized matched GaN-on-Si RF power transistor optimized for pulsed L-Band radar applications. The MAGX-101214-500L0x is constructed using a thermally enhanced, flanged ceramic package. MAAV-011013 Voltage Variable Attenuator ideal for wireless infrastructure and wireless backhaul applications. 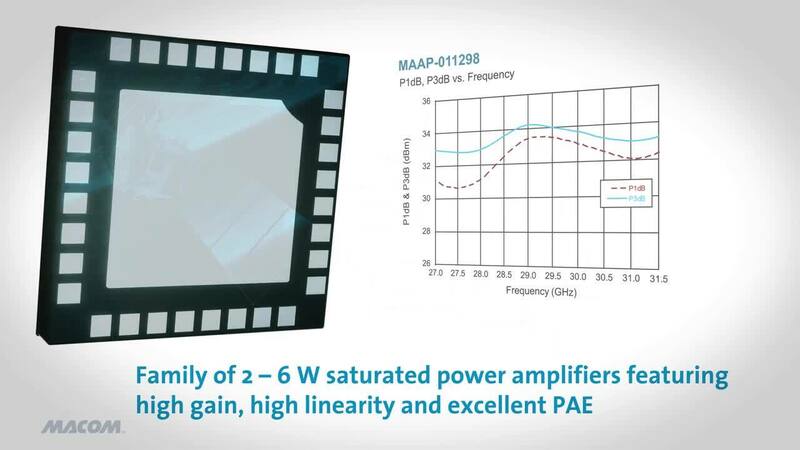 MAAP-118260 fully integrated power amplifier designed for 18 GHz, 23 GHz, and 26 GHz Cellular Backhaul and ISM applications. 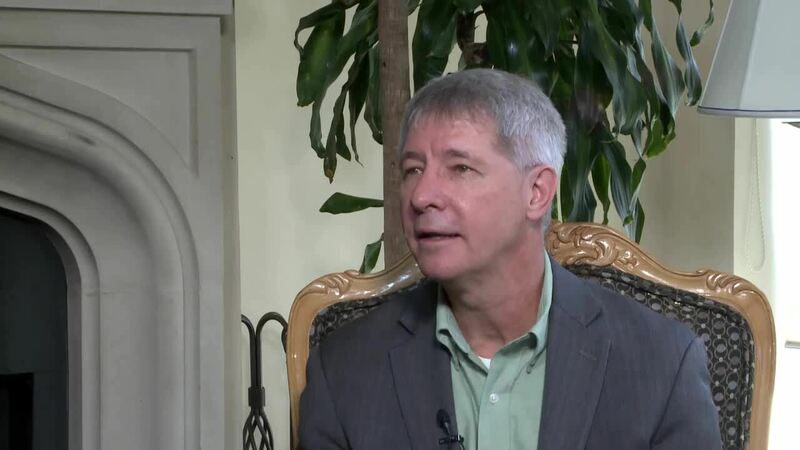 Dr. Doug Carlson, Senior Vice President and General Manager, RF & Microwave on how MACOM and STMicroelectronics are bringing GaN on Silicon to Mainstream RF Markets and Applications. 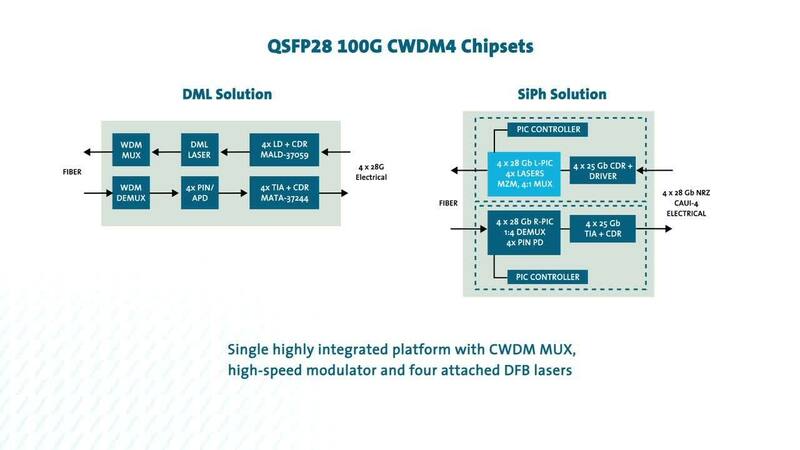 MACOM's extensive offerings for SFP+ and SFP28 short and long reach include leading DML lasers, best in class TIAs, highly integrated driver/amplifier ICS, forming the world' leading solution for Fronthaul/Backhaul. High power linear amplifiers operating from 27.5 - 31.5 GHz, available as 5x5 mm AQFN packaging and Bare Die. Available in SMT and SMA packaging, ideal for Radar, SATCOM, VSAT and Microwave Radio applications. High-performance integrated solutions with directional couplers and built-in temperature compensation to enable simplified system designs, lower costs, and unrivaled ease-of-use in a small footprint. MASW-011107-DIE: DC - 26.5 GHz Broadband GaAs SPDT absorptive switch ideal for VSAT, test and measurement, EW and military communication systems. MAMG-100227-010C0L: 10 W Two-stage hybrid GaN-on-Si module ideal for tactical military communications, land mobile radio, and wireless (public safety) markets. Package design enables mounting flexibility. 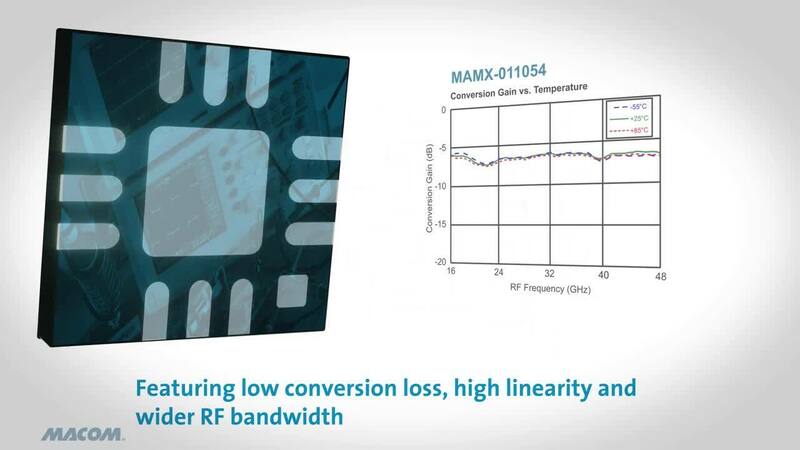 MAMX-011054 & MAMX-011036 wideband double-balanced mixer family, covering 8 - 46 GHz. Available in 3 mm 12-lead AQFN packaging, and bare die. 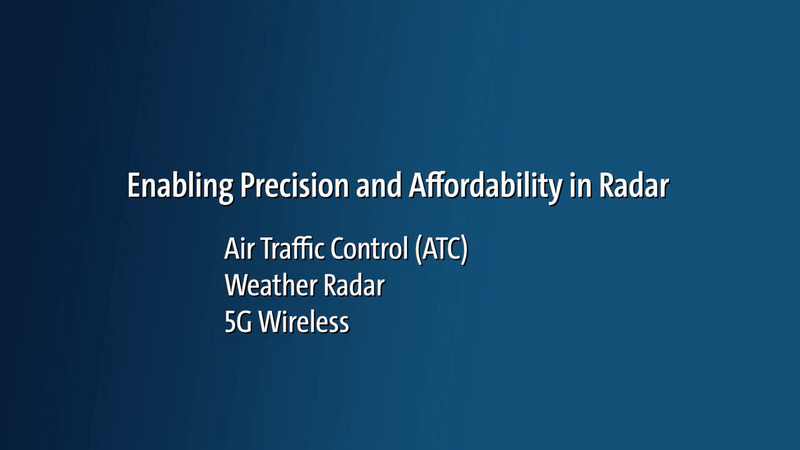 Designed for Test & Measurement, Microwave Radio, and Radar applications. MASW-011102 SPDT non-reflective switch featuring broadband performance and high-speed switching. 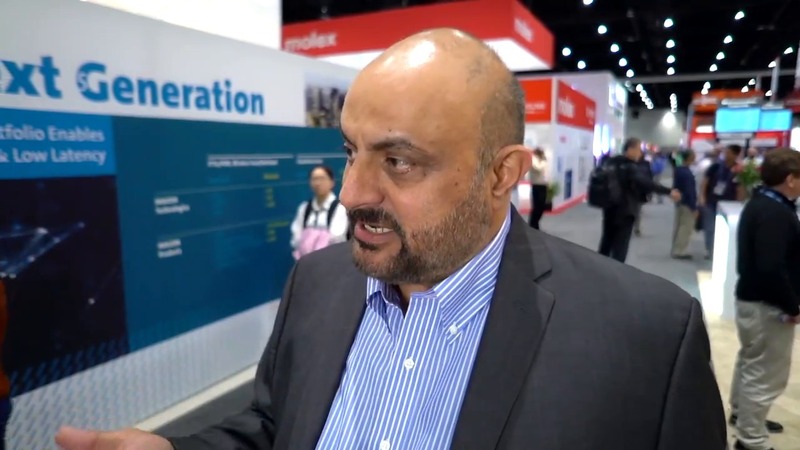 Light Reading sits down with MACOM’s Preet Virk, SVP & GM Connectivity, at OFC 2019, discussing the ongoing progress component suppliers and module vendors are making towards enabling the next-generation of optical connectivity. Learn how MACOM’s leading portfolio of components and technologies are enabling these solutions. 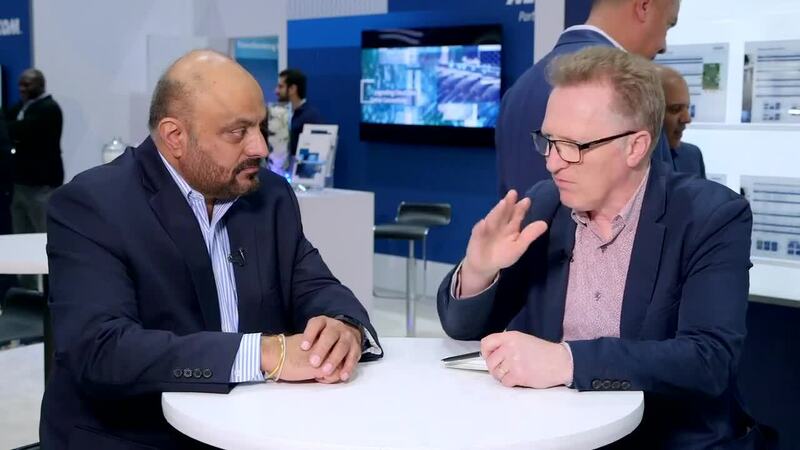 Light Reading's Ray Le Maistre speaks with Preet Virk, SVP & General Manager of MACOM's Network BU about trends in optical networking including changes in the data center and the move to 5G at OFC 2018. 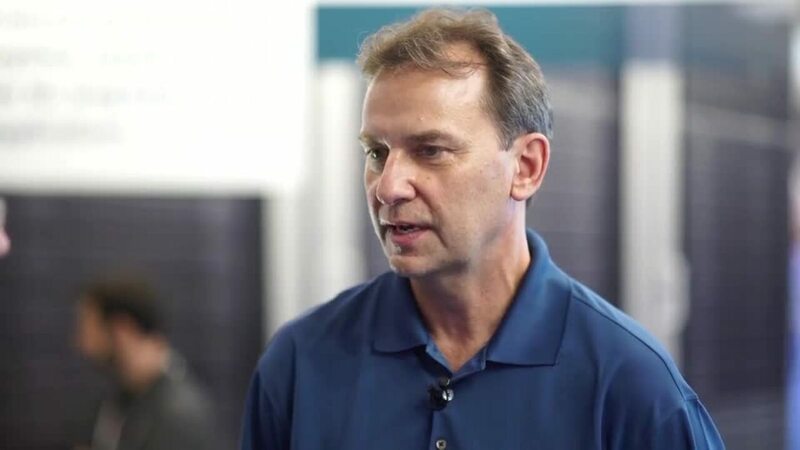 Light Reading's Simon Stanley speaks with Marek Tlalka, Senior Director of Marketing, High Performance Analog at MACOM, about the evolution of 100 Gbps, 200 Gbps and 400 Gbps within the Data Center. Learn how MACOM's serial 100 Gbps solution achieves lowest cost, lowest power, highest density, and is compatible with 400 Gbps and next-generation switch ASICs. Learn why Cloud computing-based C-Ran Network architectures are pivotal in the evolution from 4G to 5G, and how MACOM’s technology advantages are solving the current cost structure, supply chain, quality of service, and performance constraint challenges. MACOM's Vivek Rajgarthia, SVP and GM, speaks with Verizon on telecommunications and the role of photonics, as well as advances in the semiconductor industry. 500 W GaN on Silicon Transistor optimized for L-Band radar applications. 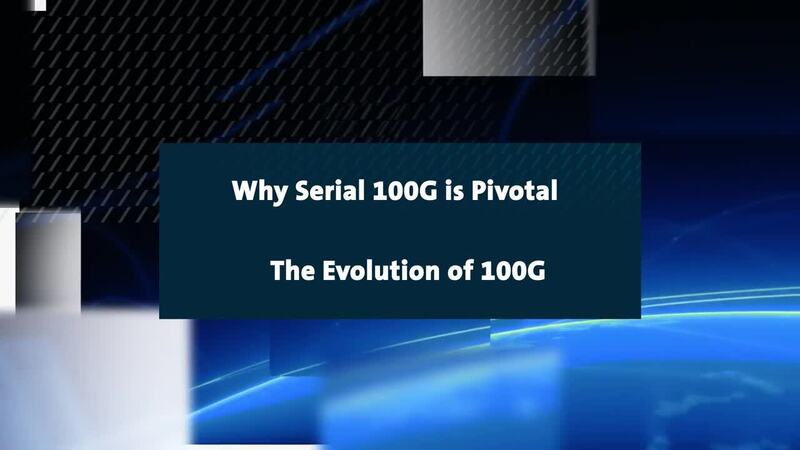 Listen to Expert Vivek Rajgarhia, Director of Strategy for HPA at MACOM, discuss 100G in the Metro. 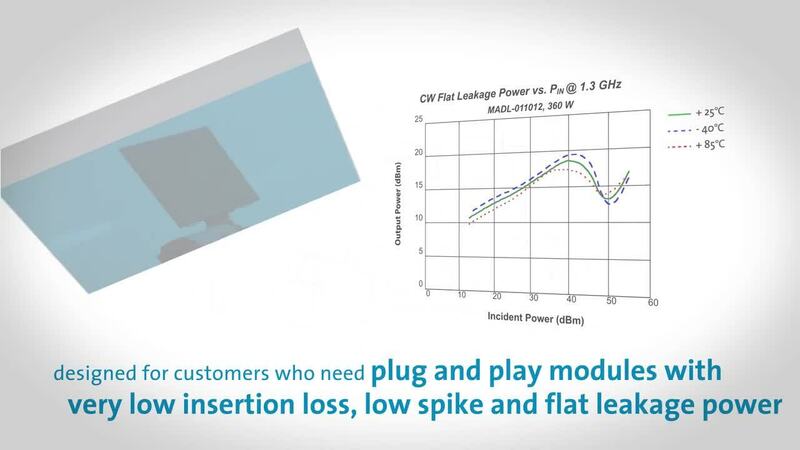 Watch MACOM Test Engineer Declan Healy show you how to measure CSO/CTB and RF output power for our new FTTx Amplifiers. 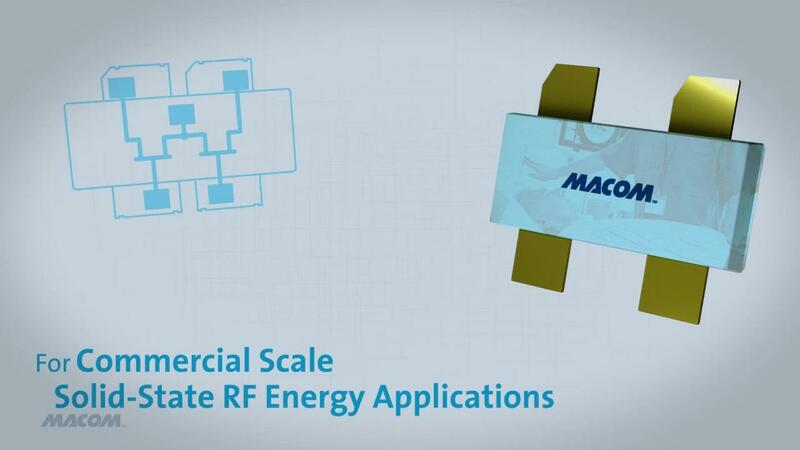 MACOM's Angus Lai reviews our latest advances for 100G at OFC 2014. Our industry-leading solutions for ONU/OLT applications are featured in this video. Vikas Manan, Director of Product Development, Optoelectronics, describes MACOM's next generation 100/200Gbs drivers for Long Haul and Metro Applications. MACOM's Marek Tlalka reviews our latest signal conditioning advances for 100G applications at OFC 2014. Among MACOM's live demonstrations at the show were low-power clock and data recovery (CDR) solutions and high data rate crosspoint switches and signal conditioners. Live at OFC - MACOM's "Lighting the way to 100G and Beyond"
Vivek Rajgarhia, MACOM's Director of Strategy describes MACOM's growth strategy and position in 100G Optoelectronics. 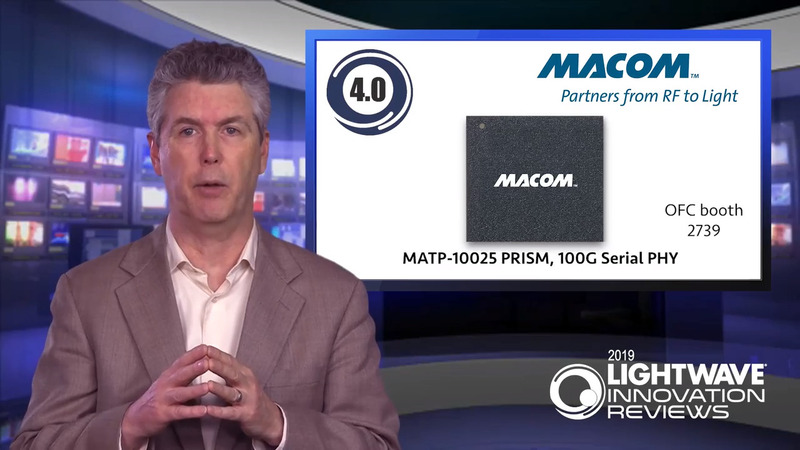 Ray Moroney, MACOM's product line manager for Optoelectronics, describes MACOM's latest EML driver solution for 100 gigabit Ethernet applications in CFP2 and CFP4 form factors for distances up to 10km. Russell Thomas shows off our latest 6G Solutions for 6G-SDI video routing, switching and signal integrity. MACOM's Hasnain Bajwa offers an overview of our new product announcements from the show and highlights our technology advancements for 4K and 8K broadcast video transport. 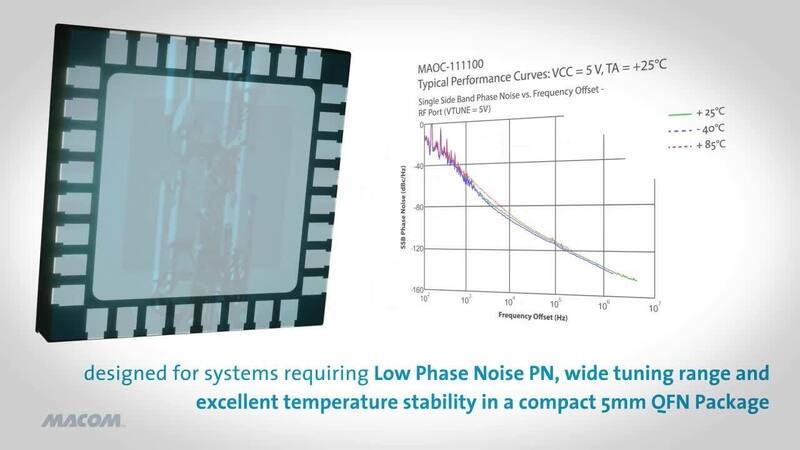 Listen to expert Joe Bukowski – Applications Engineer for Diode Standard Products -- about key features of MACOM's Series of Thermally Enhanced Series PIN diode MADP-011037-13900T. These plastic packaged devices (3mm QFN) are ideally suited for switch applications operating to 2GHz with power handling up to and beyond 100W CW incident power. 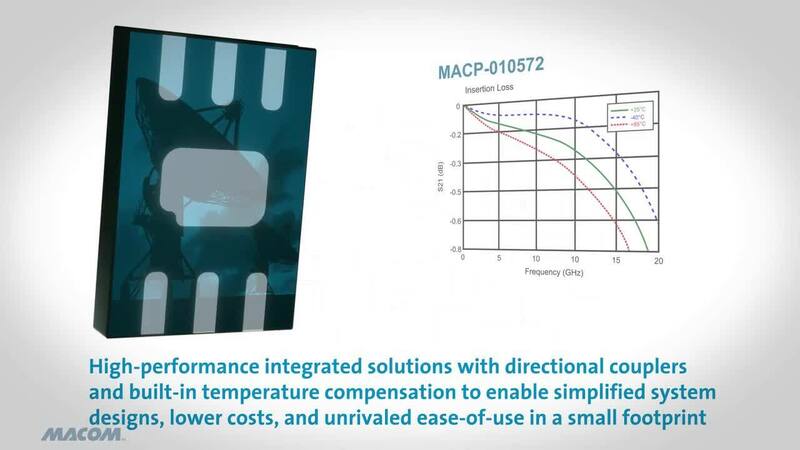 Listen to expert Joe Bukowski – Applications Engineer for Diode Standard Products -- about Technical Design Benefits of MACOM's Series of Thermally Enhanced Series PIN diode MADP-011037-13900T. These plastic packaged devices (3mm QFN) are ideally suited for switch applications operating to 2GHz with power handling up to and beyond 100W CW incident power. Listen to expert Paul Wade, Product Manager for Didoe Standard Products, talk about MACOM's Series PIN diode MADP-011037-13900T. These plastic packaged devices (3mm QFN) are ideally suited for switch applications operating to 2GHz with power handling up to and beyond 100W CW incident power. 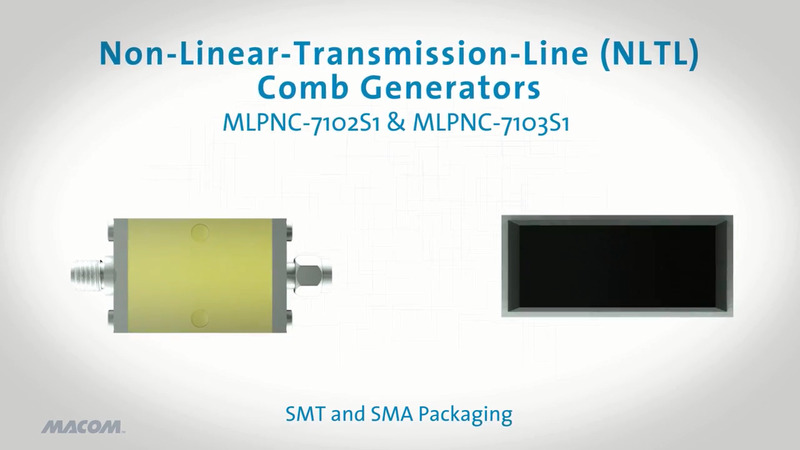 Listen to expert Tom Galluccio, Product Manager for the MMIC Product Line, talk about MACOM's new MAAM-011100 variable gain amplifier. This device operates from 0.4GHz to 20 GHz, has a gain control range of 30 dB with +13 dBm of P1dB performance and is packaged in a convenient plastic 1.5mm by 1.2mm TDFN. The input & output are fully matched to 50 Ohms with a typical return loss of -12 dB. 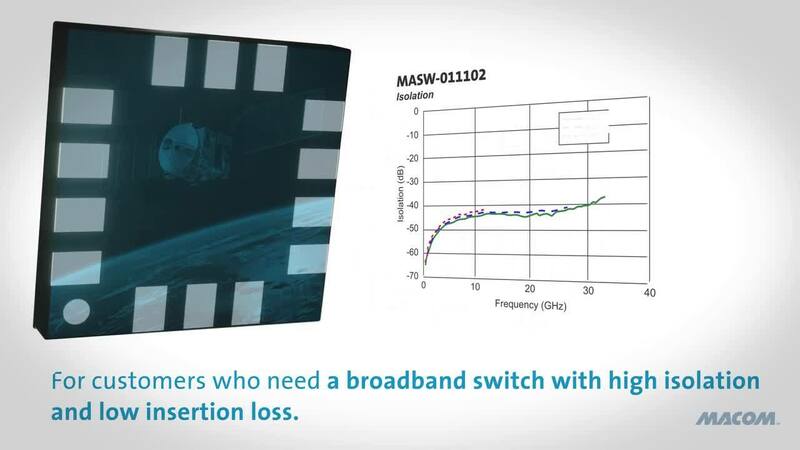 Listen to expert Kevin Harrington, Product Line Manager of A&D Communications, talk about MACOM's product MASW-011036 ideally suited for Ka-Band TR Switch applications for commercial and military applications requiring up to 16Watts of power handling. Listen to expert Paul Beasly, Product Manager for Radar Products, talk about MACOM's 2.0-6.0 GHz 12 W Power Amplifier. The MAAP-010169 boasts excellent return loss performance, high gain and broad frequency operation, making the device an ideal high power wide band solution. 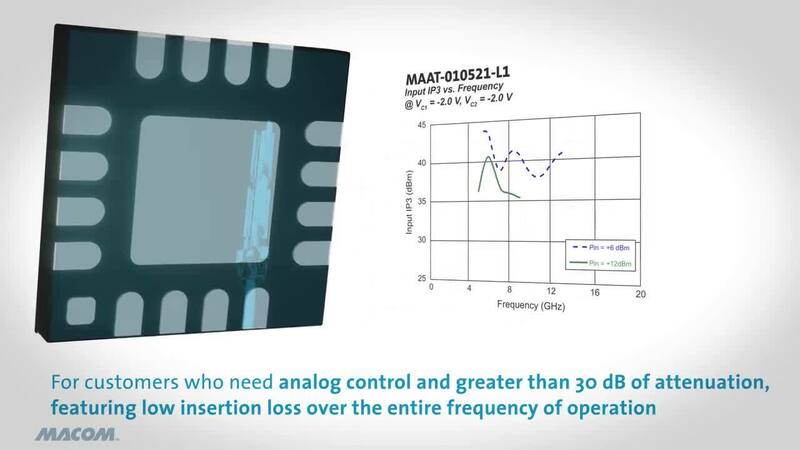 AlGaAs Multi-Throw Switch Series Listen to expert Paul Wade, Product Manager for Diode Standard Products, talk about MACOM's AlGaAs PIN diode switch series (MA4AGSW series). These chip scale devices are ideally suited for switch applications operating from 50MHz up to 70GHz. These are offered in various configurations from SPST to SP8T. Listen to expert Paul Wade, Product Manager for Diode Standard Products, talk about MACOM's Shunt PIN diode series (MADP-011027, MADP-011028 & MADP-011029). These plastic packaged devices (1.5 X 1.2mm DFN) are ideally suited for switch applications operating from 50MHz to 12GHz with power handling up to and beyond 100W CW incident power. 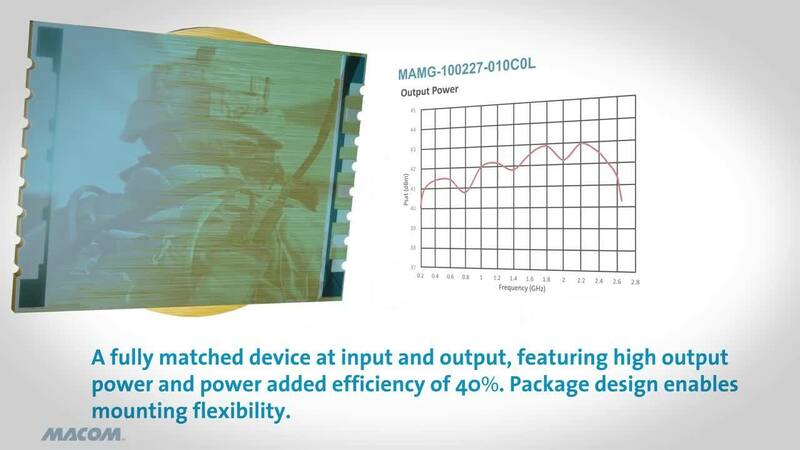 Listen to expert Kevin Harrington, Product Line Manager of A&D Communications, talk about MACOM's product MASW-011041 ideally suited for packaged (9mm) multi-throw switch applications from 30MHz to 1.5GHz with up to 200Watts of power handling. 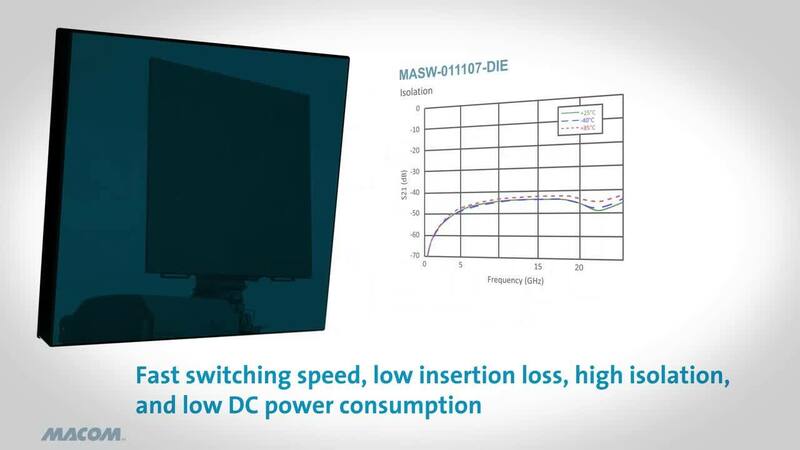 Listen to expert Kevin Harrington, Product Line Manager of A&D Communications, talk about MACOM's product MASW-010646 ideally suited for Ka-Band TR Switch applications for commercial and military applications requiring up to 16Watts of power handling. Listen to expert Paul Beasly, Product Manager for Radar Products, talk about MACOM's 5.2-5.9 GHz 8W Power Amplifier. This PQFN packaged GaAs power amplifier offers high gain and power with cost effective SMT assembly techniques. Listen to expert Ray Moroney, Product Manager for Optoelectronics, talk about MACOM's quad channel modulator driver for 100G metro applications. This driver in a 13x19mm surface mount package has 4 channels with differential inputs and single-ended outputs and is a low power solution for coherent CFP and CFP2 modules. 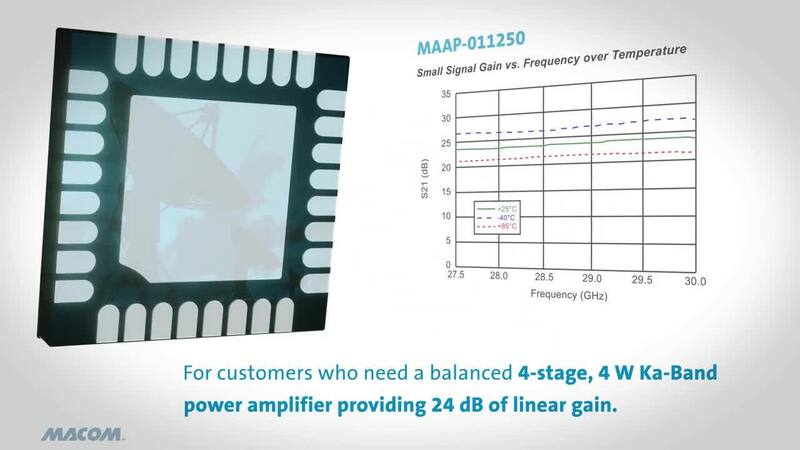 Listen to expert Tom Galluccio, Product Manager for the MMIC Product Line, speak about MACOM's new MAAM-011109 ultra wide band amplifier. This device operates from 10 MHz to 40 GHz, is fully matched to 50 ohms, provides approximately 12 dB of Gain and is packaged in a convenient 5mm by 5mm laminate package. 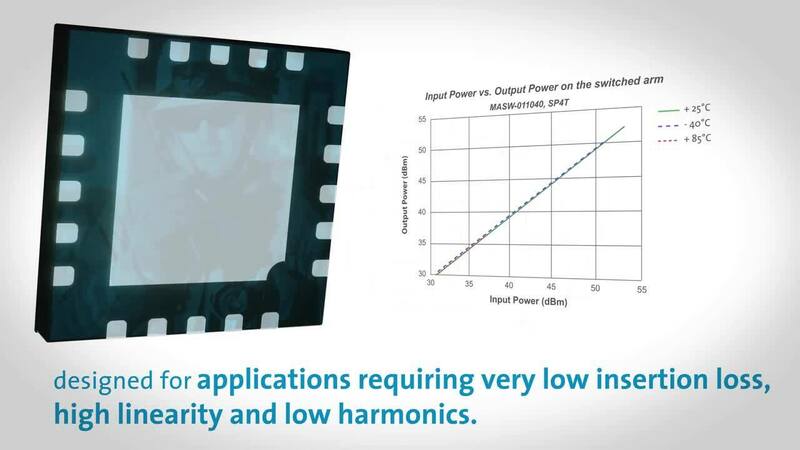 Listen to expert Ray Moroney, Product Manager for Optoelectronics, talk about MACOM's ultra low power EML driver for 100G ethernet applications. This quad channel driver in a 10x10mm surface mount package is the lowest power, smallest form factor solution for CFP2 and CFP4 modules. 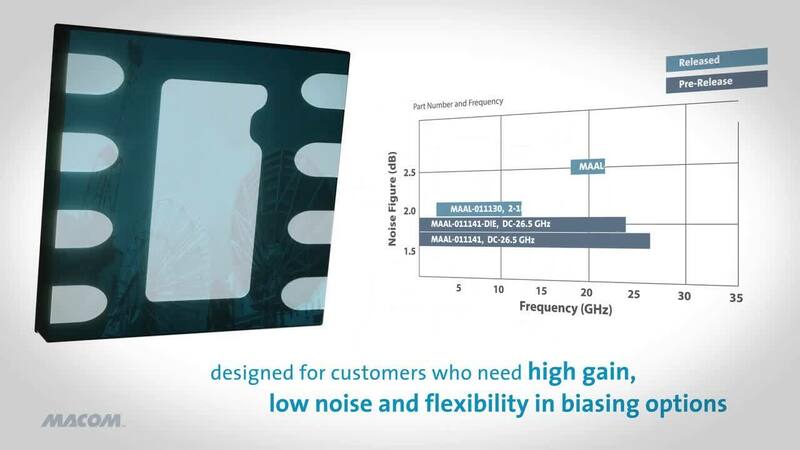 Listen to expert Tom Galluccio, Product Manager for the MMIC Product Line, speak about MACOM's new ultra small, broad band General Purpose Amplifier. This device operates from 4 to 20 GHz, has typical Gain of 16 dB with +18 dBm of P1dB performance and is packaged in a convenient plastic 1.5mm by 1.2mm TDFN. The input & output are fully matched to 50 Ohms with a typical return loss of -12 dB. Discussing the advantages of optical transport for the video and broadcast industry (from the 2012 NAB Show). Introducing crosspoint switches with reconfigurable I/O (from the 2012 NAB Show). A live demonstration of our multi-channel, low power reclocker for SDI applications (from the 2012 NAB Show). Cindy Zuelsdorf of Ensemble Designs introduces the award-winning 9432 Avenue Router at the 2011 NAB Show. Listen to expert Paul Beasly, Product Manager for Radar Products, talk about MACOM's S-Band Switch Limiter. This packaged device offers a high level of integration and high power handling making it ideally suited to Radar applications. 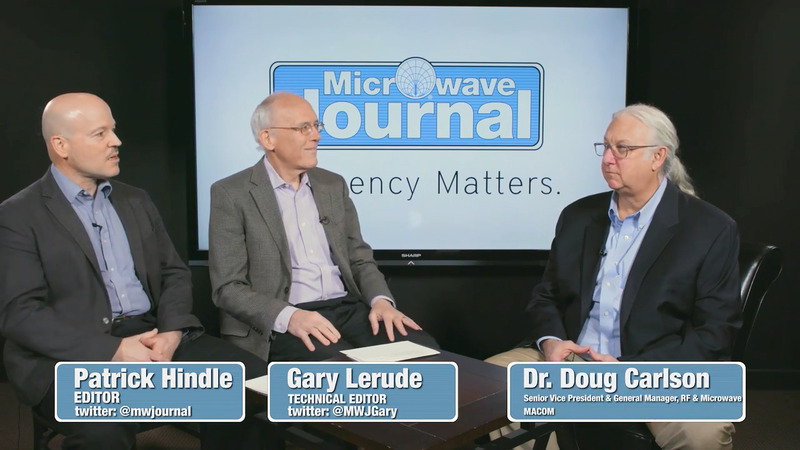 Listen to our expert Joe Bukowski on MACOM's Shunt Diode Family. Listen to Graham Board, Wired Broadband Product Line Manager, discuss MACOM's latest high performance CPE Amplifier. The MAAM-011117 is designed as a universal front-end amplifier with a powered down feature for CPE "Green" stand-by operation. Watch Principal Engineer Emmanuelle Convert demonstrate the testing of MAUC-010506 for 2x LO suppression. Learn more about the Industry's Leading Upconverter for 18 and 23 GHz Point-to-Point Wireless Applications. Watch Product Manager David Richardson, speak about the device that boasts the industry's leading LO suppression which eliminates the customers' need for a Tx Filter. Listen to expert David Richardson, Product Line Director for Wireless Products, talk about MACOM's new MADC-010736 low noise converter. This device includes an LNA, Image Reject Mixer, LO buffer, LO doubler, and operates from 40.5 GHz to 43.5 GHz. It has a typical NF of 3.5dB, Gain of 12dB, and an input IP3 of 9dBm. The MADC-010736 comes in a convenient 6x6mm SMD package. Listen to expert Amer Droubi, Product Manager at MACOM, talk about 14GHz -32GHz Sub-Harmonic Pumped Mixer. This mixer is ideal for cost sensitive applications like Ka band VSAT (29GHz -- 30GHz) BUC, 24GHz ISM and 802.11 based systems.